Much like reading an issue of Hustler for the excellent articles, no one believes you when you say that you play EVE Online for the space battles. It’s all about an economy man, as the game enters a new decade of existence. 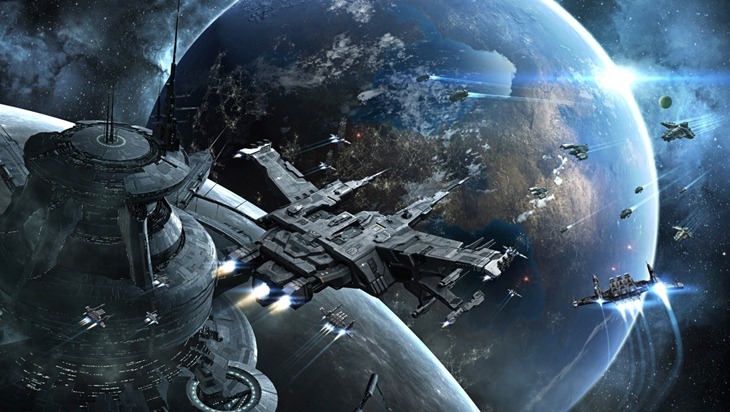 And with a new era of Eve Online comes a few changes. Here’s what’s happening in a galaxy not so far, far away. EVE Online players normally got two expansions per year, but over at EVE Fanfest, developer CCP announced that that idea is being scrapped. Instead, players can expect 10 smaller releases every year, with Kronos being the first such update. Pirate factions will also be retooled in Kronos, while a new faction by the name of Mordru’s Legion will make their presence felt. So what’s the point of a more frequent update schedule for EVE Online? According to CCP, this method will keep players more engaged with the game. And while we’re talking EVE Fanfest, check out this trailer for The Prophecy. It’s rather neat. And about to be sued by the people who made that Fifth Element movie I reckon.